Dedicated to choose bars, hotels, institutional eating in restaurants as well as intensive use in pastry making-ice cream outlets. - Powerful and silent motor - Extrawide chute dia. 79 mm (3 1/10") designed to accept most vegetables or fruit whole. - All stainless food contact zone - Very fine stainless steel strainer (0.5 mm; 1/64") for ideal filtration. - Ezy-clean system: basket and lid removable without tools. 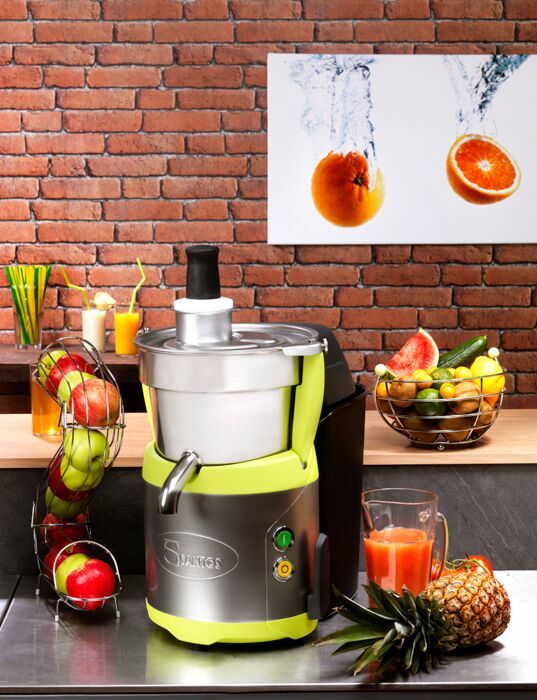 - Pouring spout 228 mm (9") allowing use of pictures, blender bowls. - Large capacity pulp receptacle: 14 litres (14 3/4 qts.). Capacity: 14 3/4 qts., Product Weight: 55 lbs.